The short 90 deg bend has been designed to fit inside of a stud wall. It is only to be used for this application where a normal sweep 90 can not be used for room restrictions. 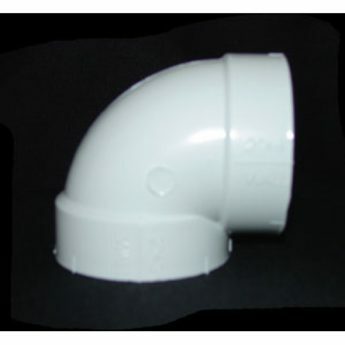 An example is directly behind the inlet mounting bracket and near the vacuum unit where the pipe leaves the wall to enter the unit.The short 90 deg bend has been designed to fit inside of a stud wall. It is only to be used for this application where a normal sweep 90 can not be used for room restrictions. An example is directly behind the inlet mounting bracket and near the vacuum unit where the pipe leaves the wall to enter the unit.